Officials said the most recent waste audit last spring found beverage containers and paper are the most frequently recycled items on campus. A recent audit of GW’s recycling showed that food scraps are the most prevalent trash incorrectly placed in recycling bins. Officials said the most recent waste audit last spring found beverage containers and paper are the most frequently recycled items on campus. Beverage containers are also one of the items that are most often incorrectly placed in trash bins when they could be recycled, along with plastic food containers, junk mail and paper inserts. The audit program – which launched in 2014 – was slated to help GW cut campus waste by 50 percent over a three-year period. University spokesman Tim Pierce said GW regularly conducts both independent and University-led audits of recycling efforts. 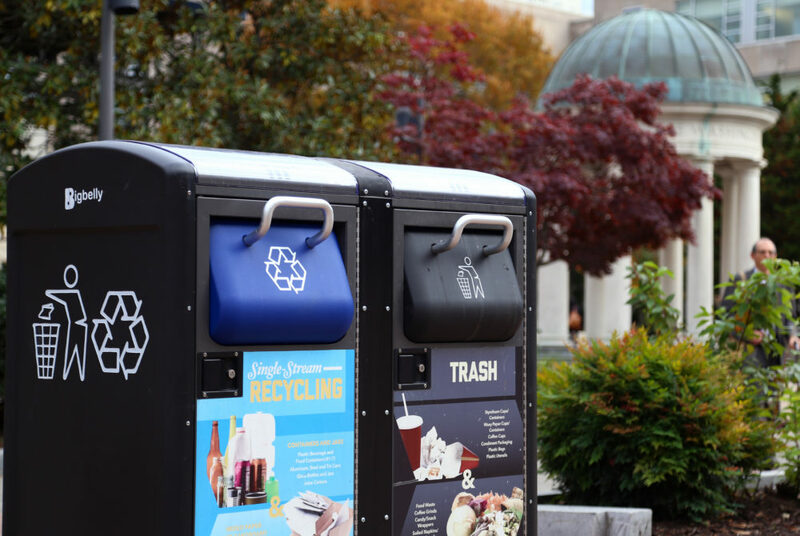 Pierce said that based on the most recent audits – in conjunction with new recycling guidelines that were implemented in D.C. this year – the University redesigned signs on trash and recycling bins and are in the process of placing the new signs around campus.